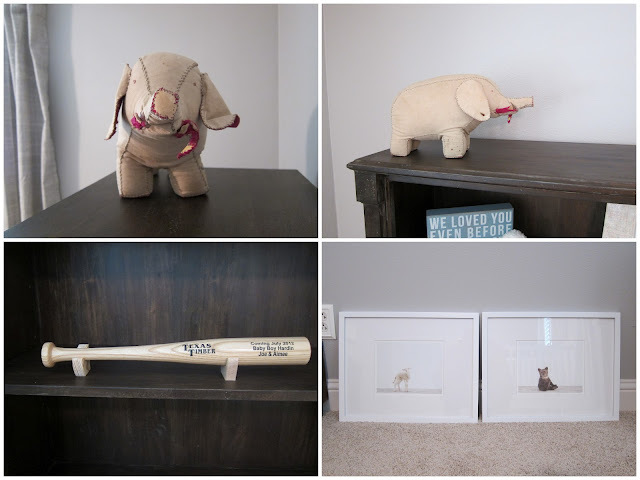 I received some more photos from my clients last week showing the arrival of some more of the nursery furniture and a few accessories. So now it's time to show the updates to you guys. 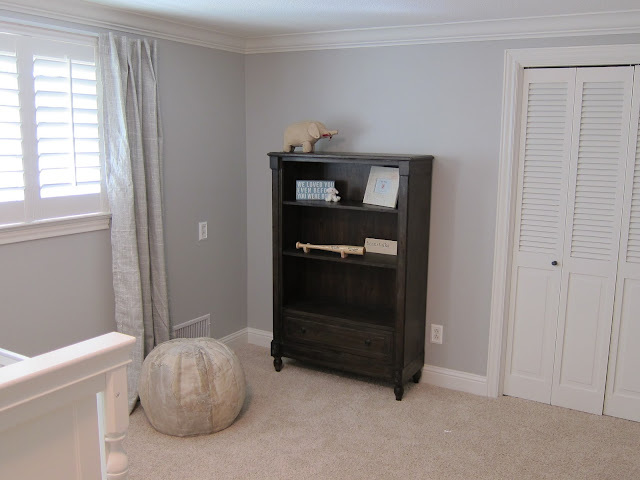 The original room design had a bookcase in a vintage buttercream finish, but unfortunately when the clients went to order it, they found out it was on backorder until August, a month after the baby's due date--not going to work. If there's one thing I can tell about the design process (whether it be rooms, weddings, etc.) it's that no matter how well you plan, something is bound to go wrong. There are so many variables that go into a design that one of them is bound to not work out. And that's okay. There's always another solution, sometimes even better than the first. In this case, the finish was switched from the vintage buttercream to an antiqued charcoal brown, and it worked out perfectly. 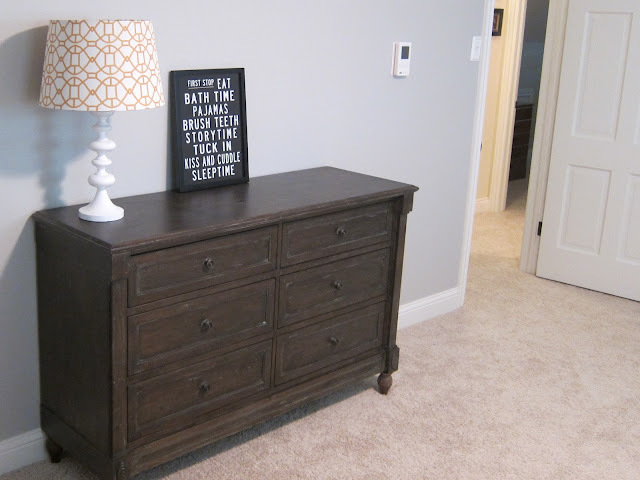 The dresser/changing table was already selected to come in the same finish. I normally don't like matching sets of furniture, but because the other pieces in the room are completely different, it works. You can also see the new lamp and shade (both from Target) and artwork (courtesy of Etsy) in this picture. I thought the typography print of the bedtime list was perfect for the vintage feel of the room. 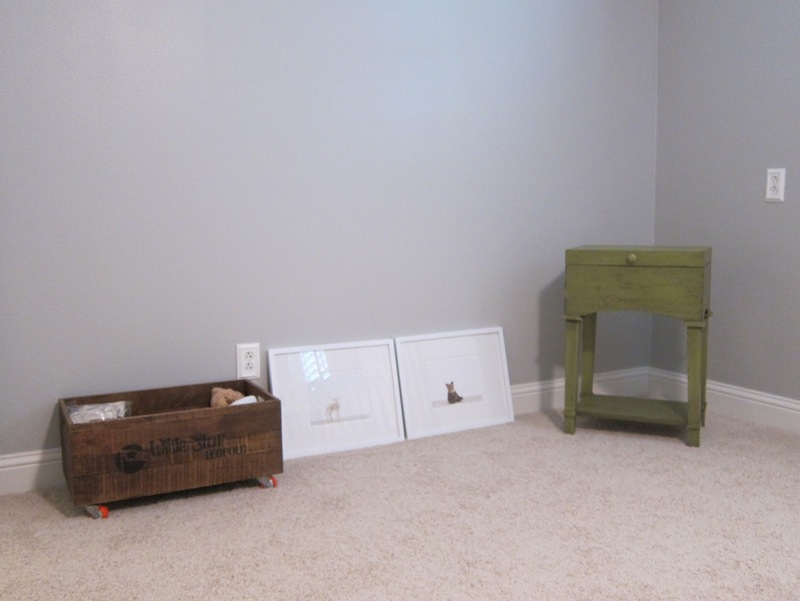 The side table, which will go next to the glider once it arrives, adds a little unexpected color to the neutral space. And now for some new accessories. My clients scored another great find at a Dallas trade show with this 1920's elephant. And you know what they paid? $23! Amazing. 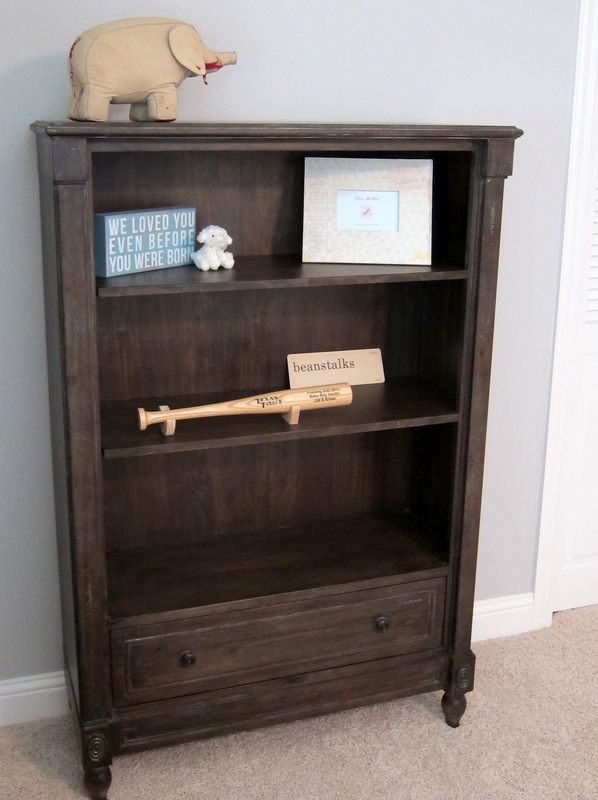 The baby bat is custom engraved and made by the father's company-such a sweet, personalized touch. 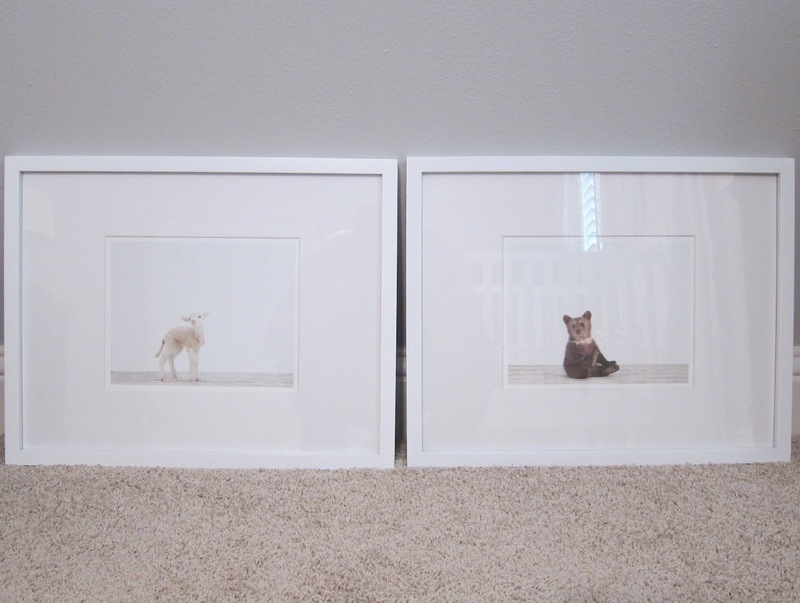 The baby animal photos have also arrived from Sharon Montrose's Animal Print Shop and been framed with another great Target find. The room is really starting to come together now! It's all of the little accessories that really add the final touch to any space, and I'm loving each addition. What do you think so far?